Come on a soulful journey with these three composers’ works, giving voice to rarely heard individuals while speaking to the universal human condition. Hilary Field’s settings of poems from Washington State Poet Laureate Claudia Castro Luna’s book, Killing Marías, remember forgotten women with brave poignancy and yet have a delicacy that makes you feel as if you can hold each song in the palm of your hand. Janet Anderson’s London Songs expertly sets romantic era poetry to take us on a wistful harmonic trek through the foggy streets of old London. Nicole Truesdell’s Memories of You sets poems by contemporary poet Alina Rios. This narratively driven song cycle follows a young woman’s voyage into a mystical love relationship as she discovers her personal power. Sunday, January 10, 2016, 3:00 p.m.
Saturday, April 23, 2016, at 7:30 p.m.
Friday, May 27, 2016, at 7:30 p.m.
Sunday, June 12, 2016, at 3:00 p.m.
A concert of instrumental and vocal music of Bach, Lehar, Bozza, Josef Strauss, and Apparitions, a song cycle by one of the Northwest’s finest composers, John Muehleisen. Also Kris Iverson’s arrangement of Liszt’s Bénédiction de Dieu dans la solitude. Saturday October 1, 2016, 7:30 p.m.
Sunday November 13, 2016, at 3:00 p.m.
Geisa Dutra performs an Ibero-Latin American program, with Spanish, Brazilian and Argentinian composers. Friday December 9, 2016, at 7:30 p.m.
Sunday January 8, 2017, at 3:00 p.m.
Pianist Maria Khavin joins Spiritus Winds for Mozart’s Quintet K. 452 and performs music for solo piano by Liszt and Chopin. Spiritus Winds opens the concert with Jean Françaix’s delightful Wind Quartet, brimming with Parisian witticism, followed by a suite from Darius Milhaud’s score for a film set in Provence during the Middle Ages and a quintet from Endre Szervánszky inspired by Hungarian folk music. Spiritus Winds is composed of Danijela McElwee (flute), Yu-Pey Lin (oboe), Jenny Ziefel (clarinet), Paulette Altman (horn) and Jeff Eldridge (bassoon). Saturday January 21, 2017, at 7:00 p.m.
Local musicians Lori Williams (soprano), Karin McCullough (piano); Lucy Wenger (piano) and Maureen Stone (oboe) join Dale Henderson, cellist and founder of the international musicians’ movement Bach in the Subways. Dale Henderson will perform selections from his favorite solo cello suites by J.S. Bach. Soprano Lori Williams will sing Quia Respexit from the Magnificat by JS Bach, accompanied by Mr. Henderson on cello, Maureen Stone on oboe, and Karin McCullough on piano; Ms. Williams will also sing an arrangement of the Bach/Gounod Ave Maria, accompanied by Mr. Henderson on cello and Lucy Wenger on piano; and Mr. Henderson will also perform Bruch’s cello/piano arrangement of Kol Nidrei. Friday March 31, 2017 at 7:30 p.m.
Saturday April 22, 2017 at 7:30 p.m.
Russian-born and Moscow Conservatory-trained pianist Valentina Rodov performs an all-Chopin concert. Sunday, October 8, 2017 at 7:00 p.m.
Kirsten Carlson, flutist, accompanied by pianist Kris Iverson, performs contemporary music by Ralph Vaughan Williams, León Zuckert, and Kristof Iverson. All concert proceeds will benefit SMTA’s many Student Enrichment programs. Saturday, November 18, 2017 at 7:30 p.m.
Sunday, December 3, 2017 at 3:00 p.m.
Beverly Reese Dorcy, a Minnesota native, is an active freelance timpanist and percussionist in both the Seattle and San Francisco Bay areas. She has performed with the Marin Symphony, Oakland Symphony, Berkeley Symphony, California Symphony, San Francisco Pocket Opera, West Edge Opera, and San Francisco Golden Gate Park Band, among others, and toured Brazil performing with the San Francisco Women’s Philharmonic. Ms. Dorcy has worked in the Seattle area as principal percussionist with the Bellevue Philharmonic and principal timpanist with the Tacoma Opera and has recording credits in the film and music industries. She earned her Master of Arts Degree in Percussion Performance from California State University, Fresno, as a student of Steven Schick. Bruce Dorcy- French horn was Assistant Principal/Third horn of the National Ballet of Canada and Canadian Opera Orchestras from 1968-92 and Principal horn of the Tafelmusik Baroque Orchestra in Toronto for 11 years and Principal horn of the Bellevue Philharmonic and Federal Way Philharmonic for 9 years. Presently he is Principal horn of the Monterey County Pops Orchestra and Monterey Opera Orchestra. Bruce has performed with many of the leading arts organizations in North America including: the Toronto Symphony, New York City Opera, New Jersey Symphony, American Ballet Theater, Buffalo Philharmonic, Seattle Symphony, Vancouver Symphony, San Francisco Opera, Las Vegas Philharmonic and San Diego Chamber Orchestra, to name a few. He is also in demand as a studio musician and has performed on over 500 commercial recordings in New York, Toronto, Seattle and San Francisco. Saturday, January 6, 2018 at 7:00 p.m.
Cellist Emily Hu is a native of Seattle and is thrilled to call the city home again. Emily enjoys a busy orchestral career, frequently performing with the Seattle Symphony and Seattle Opera. Prior to her return to Seattle, she held a one-year position in the cello section of the Oregon Symphony, with whom she regularly returns to perform. As a recitalist and chamber musician, she has collaborated in recent recital performances with Lynn Harrell, Alban Gerhardt, and members of the Vermeer String Quartet. Emily began her cello studies in Seattle at the age of fourteen under the tutelage of Mara Finkelstein, going on to pursue undergraduate studies with Norman Fischer at the Shepherd School of Music at Rice University and graduate studies in the renowned studio of Hans Jorgen Jensen at Northwestern University’s Bienen School of Music. Following the completion of her studies, she served as principal cellist in several orchestras in the Chicago metropolitan area and as a member of the Civic Orchestra of Chicago, where she worked closely with Riccardo Muti and Yo-Yo Ma. Pianist Thomas Lee enjoys a diverse career as performer and teacher of his instrument. As both a solo and collaborative pianist, he has performed extensively around the region and on KingFM radio, as well as throughout the country and abroad. Notable engagements include solo performances at Carnegie Hall’s Weill Recital Hall, as well as concerto performances with the UW Symphony Orchestra and the Kostroma Symphony in Kostroma, Russia. Thomas has claimed top prizes at the NFMC Biennial National Young Artist Competition, Buono & Bradshaw International Piano Competition, American Fine Arts Festival International Concerto Competition, Indianapolis Matinee Musicale Piano Competition, and the Frances Walton Competition. Born in Hong Kong and raised in the Seattle area, Thomas received his pre-college training from Tatiana Lanford before pursuing undergraduate studies with Jon Kimura Parker at Rice University, and graduate studies at Indiana University on full scholarship under the tutelage of Andre Watts. 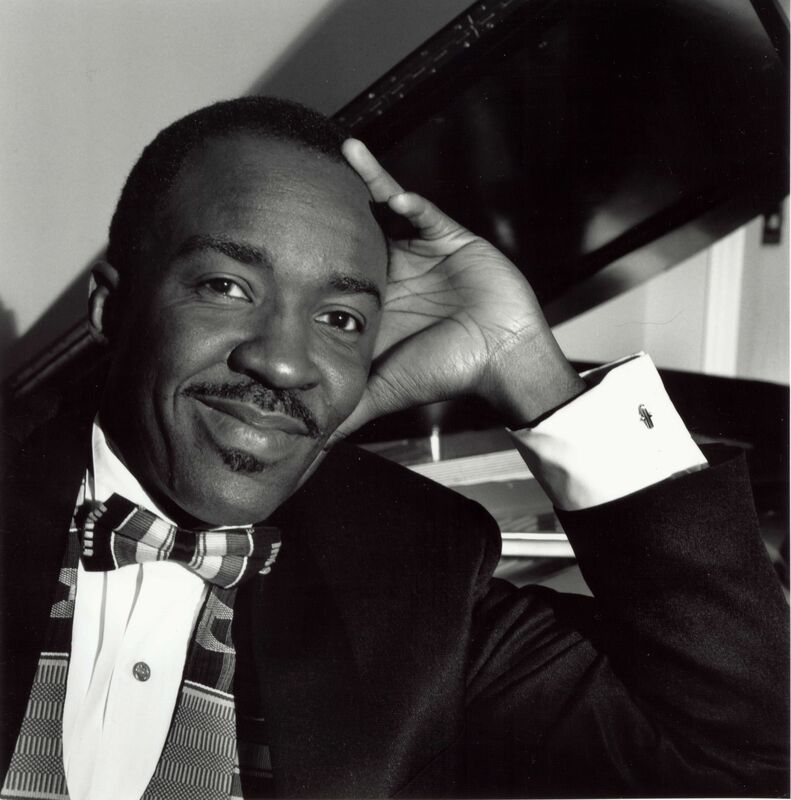 Thomas returned to the Seattle area to pursue doctoral studies under the guidance of Craig Sheppard at the UW, where he was awarded the Doctor of Musical Arts degree. Emily and Tom met in the seventh grade as fellow Wolverines at Redmond Junior High School, before Emily had even started playing the cello. They first began playing together shortly after Emily took up the cello, sight-reading repertoire in her mom’s living room. After graduating together from Redmond High School, with each appearing on the other‘s senior recitals, both went on to pursue their undergraduate studies at Rice University. After being purposely separated and assigned to different partners in freshman-year collaborative piano class for knowing each other too well, Tom and Emily re-aligned, this time recruiting several friends to form a close-knit chamber ensemble, with whom they performed a significant portion of the piano quartet and quintet repertoire over the course of several years. Their graduate work took them in different directions, but they both eventually found their way back to the Pacific Northwest, and are now committed as a duo to exploring the rich and diverse repertoire for cello and piano. Their now nearly two-decade-old musical partnership is rooted not only in common artistic purpose, but also grounded upon friendship and a shared passion for cats, lifting heavy things, aggravated political punditry, cats, naps, and well…cats. Saturday, March 10, 2018 at 7:00 p.m.
Johanna Mastenbrook holds a B.A. 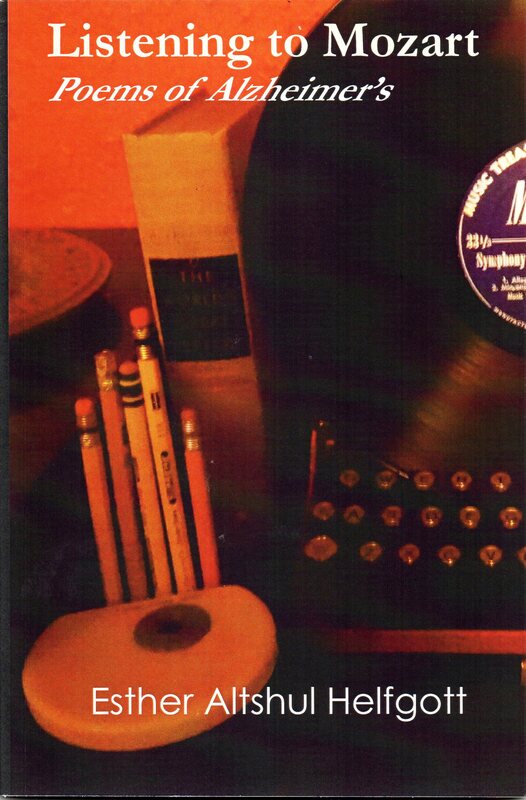 degree in Piano Performance from the University of Washington, graduating in 1950. She studied with the eminent Berthe Poncy Jacobson, with continued study in her master class for many years. She specializes in chamber music and accompanying, working with countless singers, instrumentalists and choruses for over 70 years. Her chamber music concerts included series at the Seattle Concert Theatre, the Seattle Art Museum and Seattle Symphony from 1974 through the 80’s. She joined Ladies Musical Club in 1948 and has performed at many of their recitals throughout her long career. Malya Muth, soprano, has a B.A. in Vocal Performance from the University of Washington and studied post college with Lois Hartzell. A familiar figure on Pacific Northwest musical stages, Malya has been called “first-rate” and “strikingly dramatic” by Gavin Borchert of the Seattle Weekly, a polished singer by P-I critic Joe Adcock and “very talented” by the Seattle Gay News. 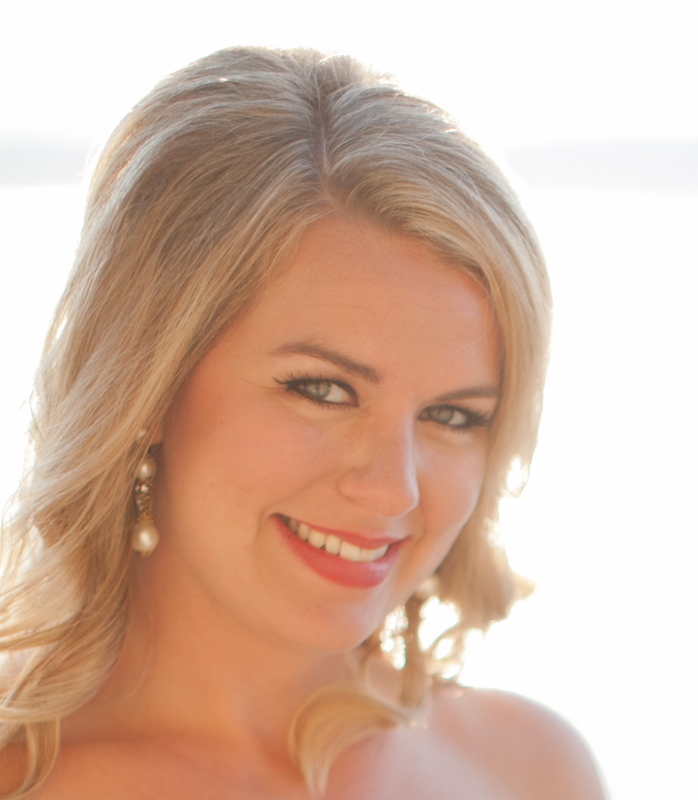 Over the years she has appeared with regional opera and musical theater companies such as the Seattle Comic Opera, Kitsap Peninsula Opera, Renton Civic Theater, and Music of Remembrance. In addition, Malya is active singing concerts, dinner theater, church and other special musical events around the Puget Sound. She teaches singing and performance skills from her studio in Edmonds, WA. Lucy Wenger is a native of Tucson, Arizona. She received her BA from Mills College and her MA from University of Oregon. Her teachers include Bernhard Abramowitsch and Frank Mannheim, assistant to Tobias Matthay. Lucy has taught at the University of Wisconsin, University of Nebraska and Canterbury University in New Zealand. She has performed as soloist, accompanist, and chamber player in England, France, Canada, New Zealand and the U.S. She has recorded for the Innova recording Company, premiering pieces by Paul Schoenfeld and Bill Rea. Her performances have been heard on NPR. Lucy lives in Seattle where she teaches privately and performs frequently. Sunday, April 22, 2018 at 7:00 p.m. Featuring Seattle Symphony Orchestra members Brittany Boulding and Mae Lin (violins), Sayaka Kokubo (viola) and Eric Han (cello). On the program: Beethoven and Haydn string quartets. Violinist Brittany Boulding, a member of the Seattle Symphony and Seattle Opera Orchestra, has appeared most recently as a soloist with the Northwest Sinfonietta, Olympia, Auburn, Pacific Northwest Ballet, Bainbridge, Thalia, Cascade, Spoleto, New Haven Symphony Orchestras as well as the Orquesta de Camara Concerto Sur (Cuba). Her major music festival appearances include Tanglewood, Spoleto, Aspen, Vail, Banff and Bellingham. A passionate chamber musician, she is a member of the Finisterra Trio and can be seen performing at chamber festivals across the county and abroad. Ms. Boulding earned her Bachelor of Music from Rice University and Professional Studies Certificate from the Colburn Conservatory with Robert Lipsett. A Pacific Northwest native, Ms. Boulding grew up performing and recording with her family, the internationally acclaimed Magical Strings. 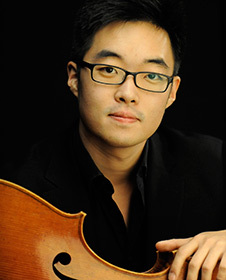 Korean-born Canadian cellist Eric Han made his concerto debut with the Toronto Symphony Orchestra at the age of 14. Following his debut, he had many engagements with Toronto Sinfonietta, Toronto Chamber Players and Boston’s Symphony by the Sea. As a guest artist and Artist in Residence, Han has participated at various festivals including the Moritzburg Festival, La Jolla SummerFest, Music@Menlo and Sarasota Music Festival, among others. Han studied with David Hetherington at the Glenn Gould School, Ronald Leonard at Colburn School of Music (BM), Peter Wiley and Carter Brey at the Curtis Institute of Music. Born in Tokyo, Japan, Sayaka Kokubo has earned honors, prizes, and awards from many competitions and foundations including the Primrose International Competition, Pasadena Instrumental Competition, Carmel Music Society Competition, Music Academy of the West Concerto Competition, Ohmagari Music Competition, Maestro Foundation, Colburn Foundation and Leni Febland Foundation. Her radio appearances include KUSC, K-Mozart, and KCBX. The Peninsula Review praised Ms. Kokubo’s playing “The real tour de force…mature polished playing that was truly artistic and simply the best viola playing.” The America Viola Society Magazine described her Paganini as “… just dazzling!” Ms. Kokubo joined Seattle Symphony in 2007. She was a soloist for the Philippine Philharmonic Orchestra as it opens its 28th Concert Season 2010-2011. 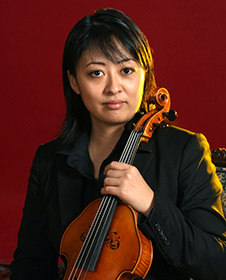 Mae Lin joined the Seattle Symphony in 2008 as a member of the second violin section. In 2014, she joined the first violin section. Having grown up in Bellevue, she was very excited to return home to join her hometown symphony. She previously served as Associate Concertmaster of the Evansville Philharmonic Orchestra and Artist in Residence at the University of Evansville with the Eykamp String Quartet. Ms. Lin received a Bachelor of Music and a Master of Music in performance from The Juilliard School, where she studied with Naoko Tanaka, and was the recipient of the Irene Diamond Scholarship. Saturday, May 19, 2018 at 7:00 p.m. The Viennese grand fortepiano was built of Rodney Regier (Freeport, ME) and is based on original instruments by Conrad Graf and Ignaz Bösendorfer, ca. 1830. The dedicated piano technician for this fortepiano is Todd Loomis, Stanwood, WA. Specials Thanks to George Bozarth for Artistic and Technical Support. The voice of acclaimed dramatic soprano Dolores Holt has graced opera houses and concert stages through Europe and the Western Hemisphere. Singing leading roles in operas by Mozart (Don Giovanni, Marriage of Figaro), Offenbach (Tales of Hoffmann), Gounod (Faust), Boito (Mephisto), Verdi (Falstaff, La Forza del Destino), Puccini (Madame Butterfly, Tosca, Manon Lescaut), and Richard Strauss (Der Rosenkavalier), she has performed with the Berlin, Seattle, New York City, Miami, Columbus (OH), and Sarajevo Operas. Dolores has appeared as guest soloist with the Amsterdam Concertgebouw, Rochester, Phoenix, Ottowa, Mexico City Symphonies in Bach’s Christmas Oratorio and Cantata Jauchzet Gott in allen Landen, Mendelssohn’s Elijah, Verdi’s Requiem, Mahler’s 8th Symphony, Britten’s War Requiem, and Bernstein’s Kaddish. 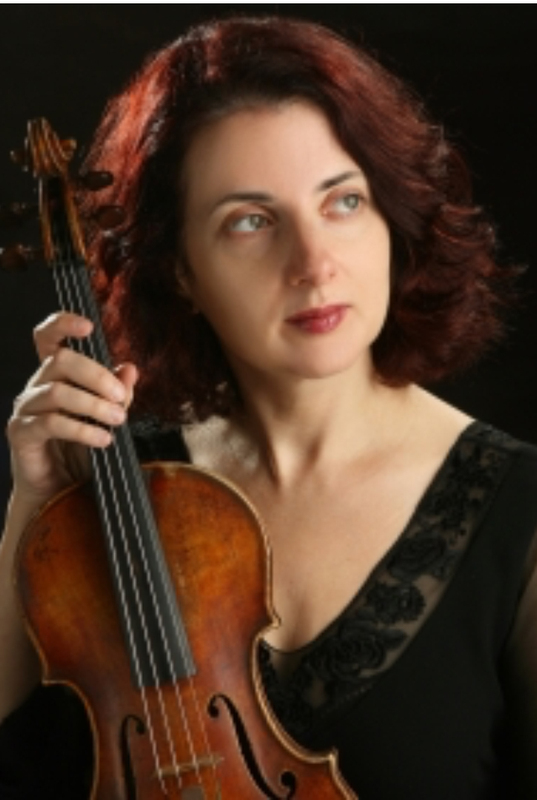 Sunday, June 10, 2018 at 7:30 p.m.
Sunday, October 28, 2018, at 4:00 p.m.
As a performer, recording artist, teacher, and scholar, Gwen Franz is a diverse violist of multiple musical traditions. In 2017, she was awarded a Doctorate of Musical Arts from the University of Washington in classical viola performance, studying with Melia Watras. Her degree also included studies within the jazz and ethnomusicology departments. Dr. Franz has been featured as a concerto soloist and chamber musician throughout the Pacific Northwest, has toured throughout the United States, and Chile, South America. In 2013 she released two albums, Airoso, with classical guitarist Hilary Field, and Douce Ambiance, with jazz violinist Michael Gray and cellist James Hinkley. Her many years of professional orchestra experience include performing with the Seattle Symphony, Northwest Sinfonietta, Grand Rapids Symphony, Lansing Symphony, and Evansville Philharmonic. She recently moved to Port Townsend, WA with her husband, Ernie Franz. 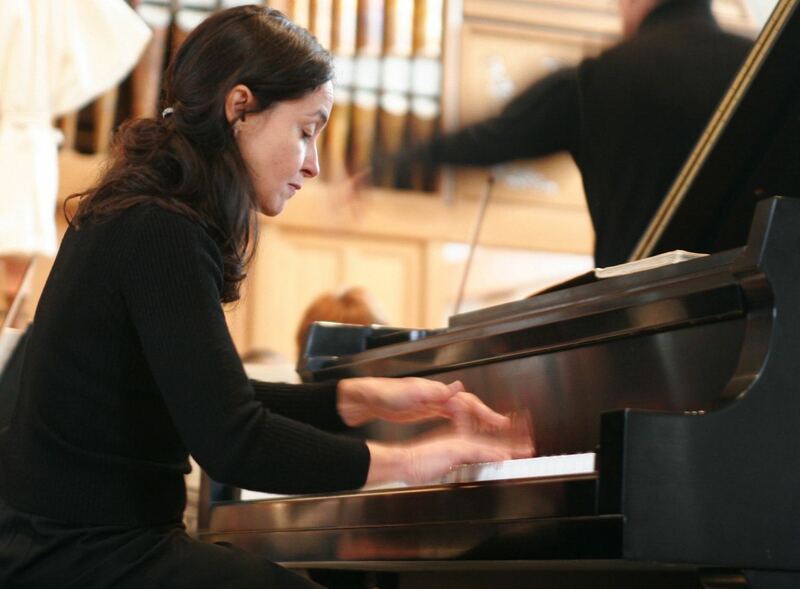 Pianist Lisa Lanza has been performing as a solo artist and collaborator for over 20 years on the Olympic Peninsula and in the Seattle area. In 2017 she performed in France (Music at Albignac) and the UK (Hebden Bridge Piano Festival) and was voted “Best Musical Performer of Jefferson County”. She has studied with internationally renowned pianists Maria Joao Pires and Paul Roberts at The Guildhall School of Theater and Arts in London. She holds a Master of Music degree in Piano Performance and Accompanying from The University of Redlands. A Seattle native, Lisa has lived in Port Townsend since 1988, where, in addition to her day job, she accompanies the Rainshadow Chorale, PT Community Chorus and Grace Lutheran Church. For the last 10 years, she has organized a popular PT community concert to raise funds for the education of AIDS orphans in a remote region of Uganda. Naeim Rahmani was born in Isfahan, Iran and lived there until his teens when he immigrated to the US as a refugee. Bringing with him only his passion for the guitar, he began his formal study at the University of Washington and then continued to the University of Wisconsin at Milwaukee where he completed his Master’s degree under renowned Cuban guitarist Rene Izquierdo. Naeim has performed throughout the US and internationally. He enjoys bringing his music to small community or arthouse spaces where he can interact with the audience. His performance venues have included everything from private homes and community churches, to a renovated industrial space in Oaxaca, Mexico, ancient churches along the Camino Santiago in Spain, and arthouses in Berlin. In all of these places Naeim brings his deeply personal style to create an intimate musical experience for the audience. Outside of his performance career Naeim is the director of the Seattle-Isfahan Guitar Project. This collaborative endeavor was created as a way to forge connections between musicians in Seattle and in Naeim’s home town of Isfahan, Iran. You can read more about this project by visiting his website. Naeim lives in Seattle. He teaches at Bellevue College and is a booking coordinator for Aranjuez Artists, Inc.
Naeim became a US citizen in 2008. He is eternally grateful for all that this country has offered him, and stands in solidarity with others who are fleeing repressive regimes around the world. 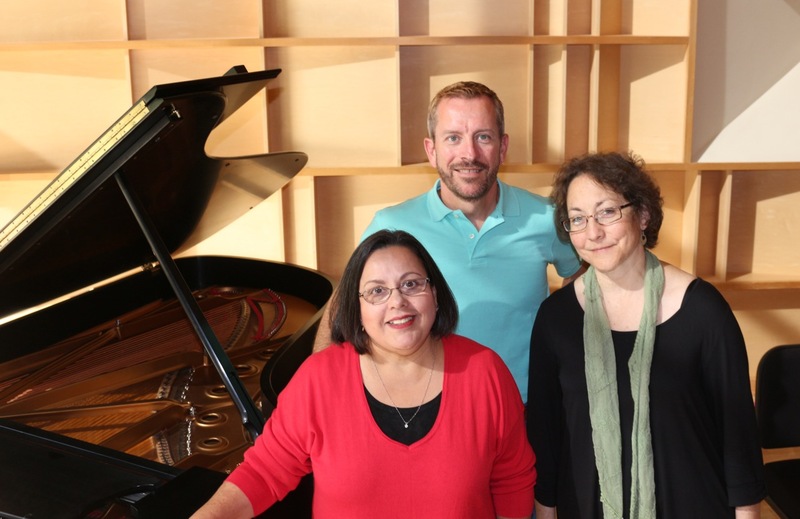 Eliza Woodyard, soprano, Revere Taylor, baritone, Karin McCullough, piano accompanist. give a post-Valentine’s Day concert featuring duets by Peter Cornelius, songs by Schubert and Poldowski, selections from Rossini’s Barber of Seville, and Menotti’s “rom-com” (romantic/comedy) The Telephone. The Brian Wharton Ensemble will perform a concert entitled “Romantic Brothers” featuring Mendelssohn’s String Quartet in E Flat Major, Op. 12; and Brahms’s String Sextet No. 1 in B Flat Major, Op. 18. Brahms and Mendelssohn are known for their soaring romantic melodies. Enjoy waves of magical phrases washing over you in a concert that celebrates life and beauty. Each work features an iconic movement. The Mendelssohn has the charming Canzonetta while the Brahms features a Hungarian theme and variations in the second movement. Brian Wharton comes from a musical family in Idaho where both parents play cello and piano professionally. He pursued music in college receiving performance degrees from Western Washington University and the College-Conservatory of Music in Cincinnati, Ohio. 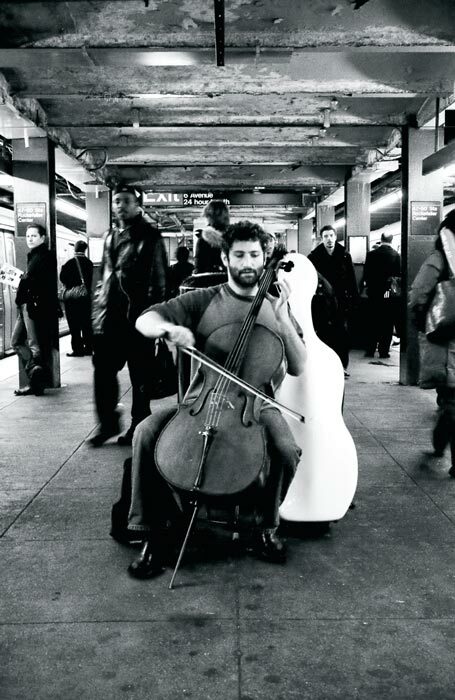 He is passionate about teaching and passing on the tradition of excellence in cello playing. His students have won the Washington State solo competition and many have been principal cello of the Tacoma Youth Symphony. He has taught at Pacific Lutheran University and currently maintains a large studio in Auburn, Washington teaching students from ages 7 to 80. He has played professionally with the Seattle Symphony, Seattle Opera, Pacific Northwest Ballet, the Northwest Chamber Orchestra, and principal cello with the Auburn Symphony. His passion for chamber music has led him to create the Auburn Symphony chamber series. He produces a wide variety of chamber programs throughout the year at different venues around Auburn including “Sunsets at Mary Olson Farm”. Brian enjoys fishing with his kids, hiking, and touring national parks. He currently resides in Auburn with his wife Melinda and their two children, Hailey and Connor. Ingrid Fredrickson received her degrees in music and education from the University of Washington where she studied violin with Emanuel Zetlin and Denes Zsigmondy. She has also studied with Camilla Wicks and Charmian Gadd. After graduation she travelled to Norway where she played as a member of the Oslo Philharmonic Orchestra. Returning to Seattle, she joined the Northwest Chamber Orchestra where she played principal second violin for many years. Currently, Ingrid plays principal second violin with the Auburn Symphony, and is a member of the Pacific Northwest Ballet Orchestra. She has also performed with the Seattle Symphony and Seattle Opera. 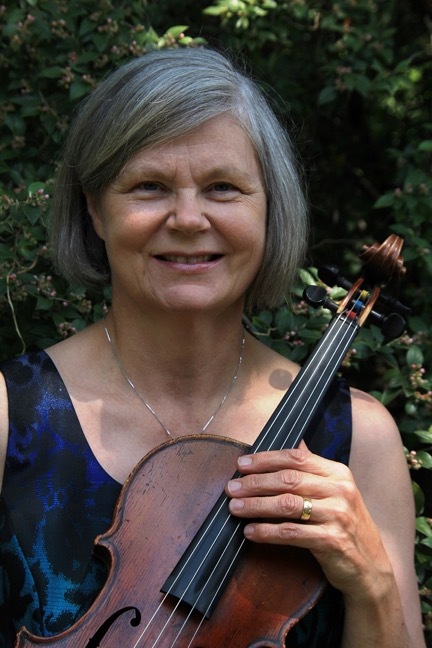 Ingrid is an avid chamber musician, having performed on many series in the Pacific Northwest. A highlight of her career was performing as a member of a string quartet playing in China and Europe. She enjoys her work as a coach and violin teacher. Joyce Ramee is assistant principal violist in the Auburn Symphony and an active performer on ASO’s Chamber Music Series. She received her degree in viola performance from the Curtis Institute of Music, Philadelphia, where she studied with Max Aronoff and Joseph dePasquale. While studying under a full fellowship at Tanglewood, she performed under conductors including Leonard Bernstein, Seiji Ozawa and Kurt Masur. 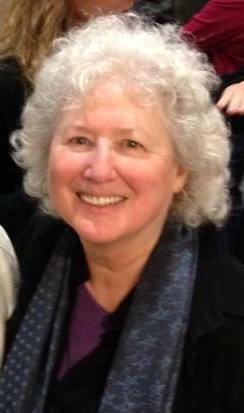 Since 1987, Joyce has served on the faculty at the University of Puget Sound, teaching viola, string techniques and community music violin. 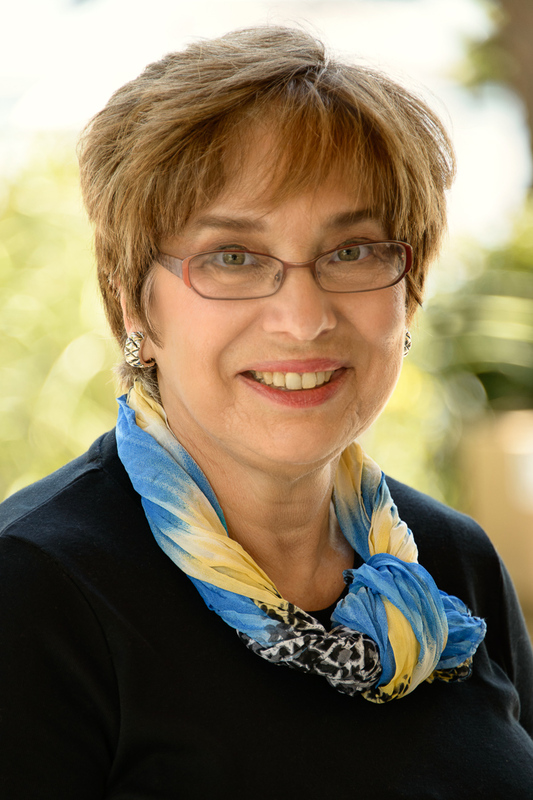 She co-founded the Max Aronoff Viola Institute, a nationally recognized educational program, and directed it throughout its 28-year organizational life. Joyce has premiered numerous chamber and solo works by Northwest composers including Dell Wade, Lawrence Ebert and Daniel Ott and has performed as concerto soloist with several local orchestras. She is a founding member of both the Auburn Symphony and the Pacific Northwest Ballet Orchestra. Outside of music, Joyce is a 30+year member of St. Mark’s Cathedral Choir and enjoys wine, food and Italian language learning for recreation. She lives in Seattle with her husband, French hornist Rodger Burnett, and their many cats. Mike Watson began studying the violin at age 8 and received his degree in viola performance from the University of Washington, where his teachers were Donald McInnes and Yizhak Schotten. 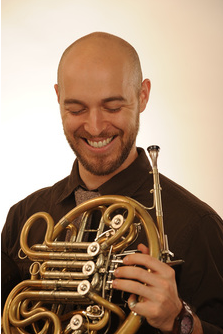 Mike is active throughout the greater Seattle area as a teacher, string coach and freelance musician. He performs regularly at the Paramount and 5th Avenue Theaters in Seattle, the Village Theater in Issaquah and in ensembles and recordings with a variety of artists. He has also performed with Pacific Northwest Ballet Orchestra. A 21-year member of the Auburn Symphony Orchestra, Mike has appeared on the ASO Chamber Music Series at Mary Olson Farm. Andrea Chandler has been a member of the Pacific NW Ballet Orchestra for 17 years and a member of the ASO since its inception. She studied cello at the University of Washington and the Royal Northern College of Music in Manchester, England. Prior to returning to Seattle she played for four years with the Gulbenkian Orchestra in Lisbon, Portugal, also performing chamber music concerts in Portugal and France as a member of the Gulbenkian Soloists and then with the Vermont Symphony in Burlington, VT. Since her family moved to Salem, OR last year, she teaches privately and coaches in the schools and Youth Symphony program there, while enjoying the time when she’s working in Seattle with her music friends. She serves on the faculty of several summer camps including Icicle Creek in Leavenworth, Cougar Strings in Pullman, and Summer Strings in Salem. In the summer she also plays chamber music in the Silver Bay String Quartet at Lake George, New York and is happy to once again be playing in an ASO chamber series concert.